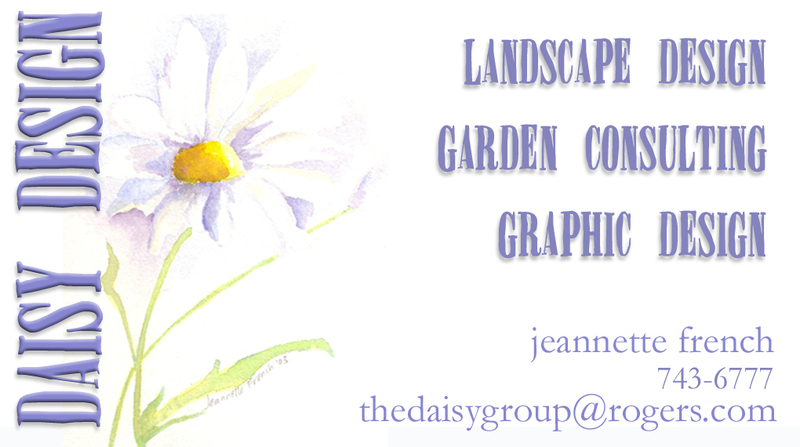 My name is Jeannette French and I am a landscape designer in St. Philip's, Newfoundland. I am available to consult and design your next landscape project. Throughout the gardening season I will post ideas, hints and tips to help us get our thumbs greener. The information I will post will be specific to our climate and conditions in Newfoundland. Feel free to browse the photo album of some of my past landscape projects.